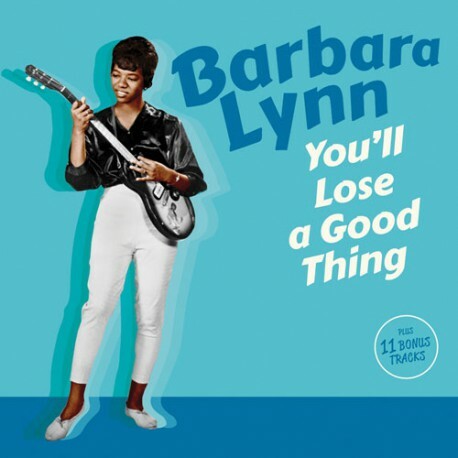 This essential CD edition includes Barbara Lynn’s debut album, You’ll Lose a Good Thing, in its entirety. 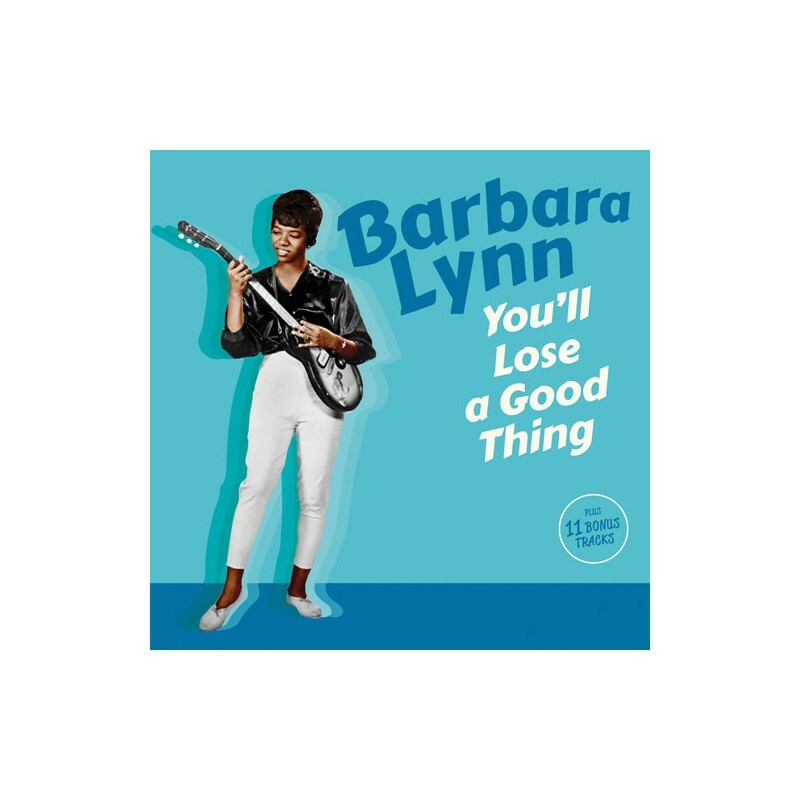 Originally issued by Jamie Records in 1962, this magnificent LP was produced by Louisiana-born Huey Meaux, an influential figure in Texas music circles. 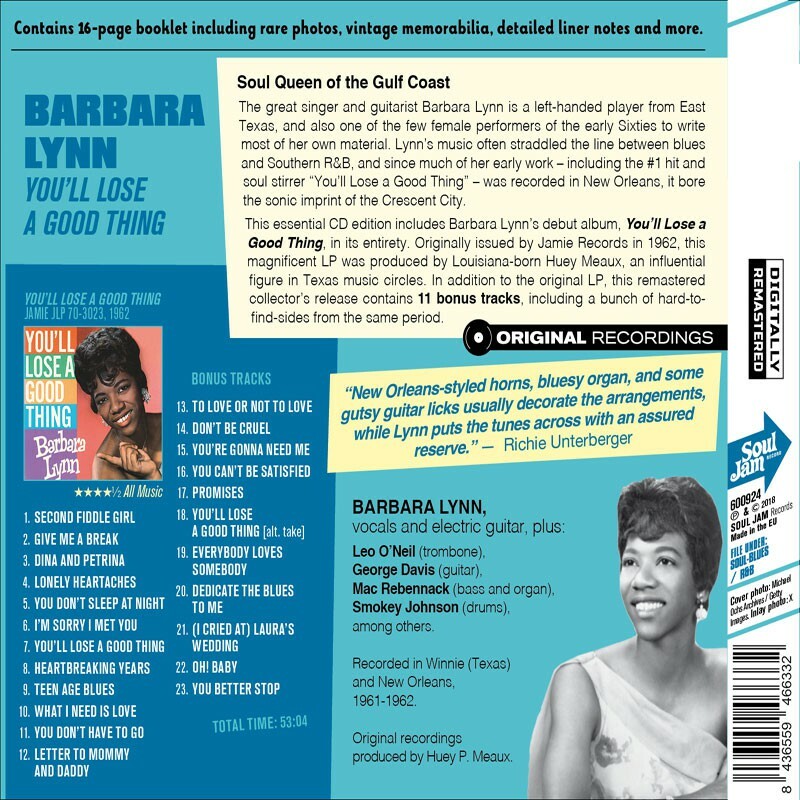 In addition to the original LP, this remastered collector’s release contains 11 bonus tracks, including a bunch of hard-to-find-sides from the same period. 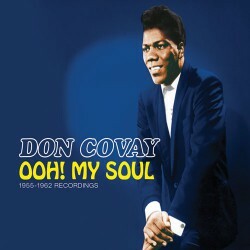 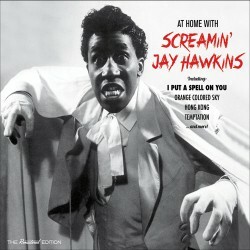 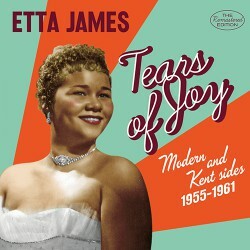 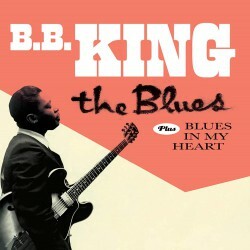 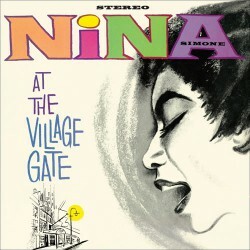 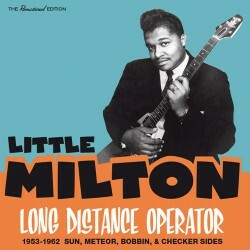 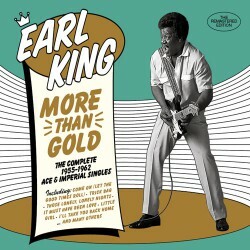 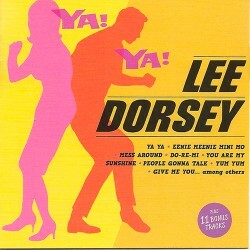 Recorded in Winnie (Texas) and New Orleans, 1961-1962.